Mobile devices are part and parcel of modern life, but however or wherever you use your smartphone or tablet, there are many times when you'll appreciate some hands-free time out. This is where our new mobile device pillow and cushion rests really come in handy. Whether you own a smartphone, iPad, Android tablet, Kindle or e-Reader, our supportive cushion rests are suitable for use with a wide range of mobile devices. By propping up your device comfortably and securely, you can still enjoy using it while keeping your hands free. Whether you fancy chatting to a friend or work colleague while jotting down notes, catching a movie while eating your tea, or learning the latest dance moves on Youtube, our mobile device cushions open up a whole new world of hands-free opportunities. 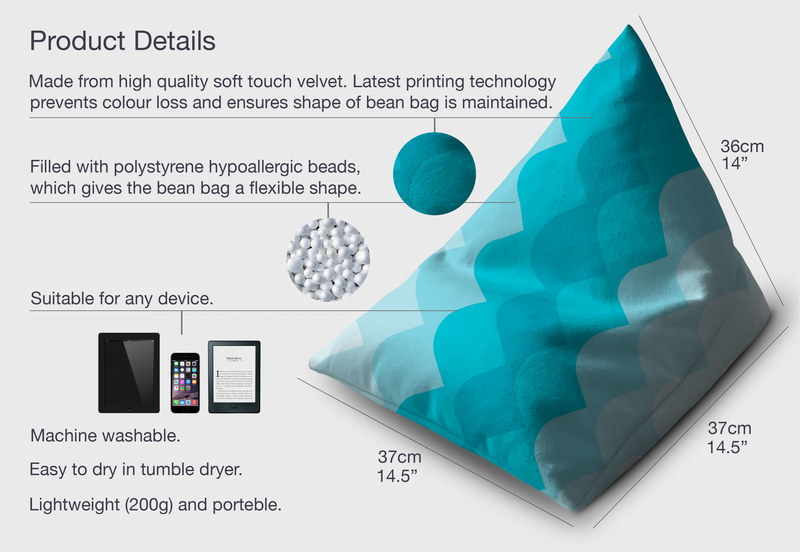 Filled with flexible polystyrene beans, our pillow supports easily mould to the shape of your device, allowing you to place it either vertically or horizontally, depending on what suits your viewing style better. Anyone who uses a mobile device will appreciate the many benefits that our new cushion support has to offer. Not just a must-have for adults, children will also find it really useful if they play games on an iPad or tablet, while students will be able to easily make notes when using their tablet for research purposes. Although designed to prop up your mobile devices, there's no reason why you can't also use our beanbags to lean small books against, too. And when your device needs charging, the beanbag comes to the rescue yet again, making a safe and secure spot to give your device its top up of juice. Finding the ideal gift that you know will be genuinely well received is hard, especially for those people who are fussy or seem to have it all already. Yet, our new mobile device pillow supports are not just novel, fun and attractive, they also have massive practical and universal appeal. Whether given to a friend, family member or work colleague, this is one gift that you can feel confident will go down well. In fact, you'll be so taken with it, you could be tempted to keep it all for yourself. If you're looking for a phone cushion rest that has bags of visual appeal, you have come to the right place. We stock a wide range of eye-catching colours and designs that will suit the tastes of any user. With ample attractive designs and colours, our device cushion rests will ensure to make browsing that bit more fun. Even better, with our striking colours and designs, you've got little chance of mislaying the beanbag, ensuring it is easy to locate, just when you need it the most! What makes mobile devices so appealing is that they can be used almost anywhere these days, so it makes sense that our device cushion rests should be able to easily tag along, too. Made using lightweight materials, for simple transportation, you can conveniently carry our device cushion rests with you, wherever your tablet or phone needs to go. The inclusion of flexible polystyrene beans also makes the cushion simple to fit into tight spaces. Easy to store and pop in a bag, case or holdall, this is one accessory you'll always be able to take with you on your travels. Being lightweight and compact, our phone beanbags earn their place both at home and in any working environment. They can easily sit on a table, desk, your lap, the arm of a chair or your bed, giving you hands-free flexibility to get on with other tasks, or just sit back and relax in comfort. In particular, if your office desk is looking a little dull and could do with brightening up, our device beanbags make a novel choice while also serving a really useful purpose. If you've ever sat on a beanbag before you'll understand just how comfortable and supportive they are, and now your own device can wallow in this same luxury. Our phone pillows are filled with soft polystyrene beans that securely cushion your device no matter what flat surface you lay it upon. Lots of us choose anti-allergy pillows and cushions for a safer and healthier environment at home, so it's good to know that our phone beanbags are also made using hypoallergenic beans. This means you can use our device perch with confidence, knowing that it won't contribute to causing any health-harming allergy symptoms. It is not just the anti-allergy composition of our beanbags that earns them full marks; they also excel from another important health perspective. If you suffer from joint problems, such as rheumatism or arthritis, you might find holding or using a mobile device uncomfortable, especially after a long period of time. This is not ideal if you fancy catching up on the latest movie on your iPad! Overuse of mobile devices can also lead to repetitive strain syndrome, which can also impact the joints of the fingers, wrists, arms and shoulders, leading to stiffness, pain and inflammation. By resting your device on our supportive cushion, you can sit comfortably, keeping your hands free from any harmful strains. This can help to alleviate many of these health issues. It's not just the inside of this phone rest that is soft and strong, but the outside has also been made with exceptional comfort and durability in mind. Using sumptuous, soft-touch fabrics such as polyester and velvet, our phone cushion rests are a complete pleasure to hold. Made with loving care and meticulous attention to detail, you can also feel reassured that the outer material is completely protective and won't spill any of the beans out of the cushion. With its superior quality materials and sturdy stitching, you can enjoy using this phone pillow for a long time to come. 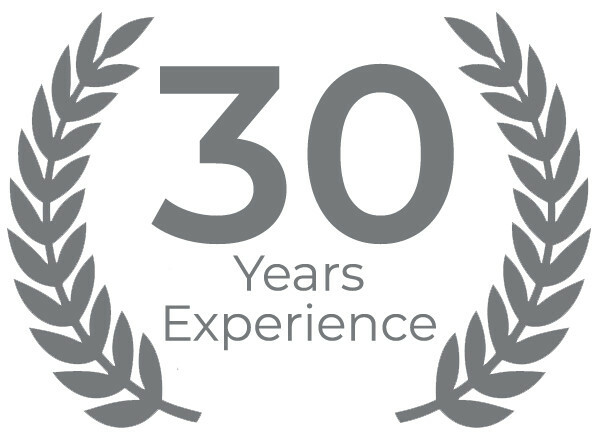 Unlike some other device supports made from hard or firm materials, our cushions are made using soft materials that offer 100% protection and support. We all know how important our devices are to us, and keeping them in tip-top condition is a big priority. Therefore, you'll be pleased to know that the soft fabric used in this cushion support will protect all parts of your device, especially the screen, which can be vulnerable to scratches and knocks. No doubt our phone beanbags will get plenty of use, so it's inevitable that over time they might need a little freshening up. If the thought of having to hand wash the pillow makes for an unappealing option, then worry not. Our mobile device beanbags are suitable for machine washing, so there's no need to mess about wasting precious time scrubbing at the sink. Simply pop them in your washing machine at 30 degrees and that's the hard work over. Even better, you don't need to worry about removing any of the internal beans prior to washing, as these are safe to go in the machine and won't impact on the quality of the product. More than anything, you can enjoy complete reassurance that your beanbag will get a thorough, hygienic fuss-free wash. When your beanbag needs washing, you won't want it to be out of action for too long, so it's good to know that the drying process is also quick and easy. As well as being suitable for air drying, you can also safely and conveniently dry the cushion rest in a tumble dryer on a synthetic setting. There's nothing worse than buying an accessory for the home in vibrant colours only to find that it fades within a short space of time. Thankfully, with our phone beanbag supports, this is not an issue you'll need to contend with. The quality materials used to make the beanbags ensure the colours stay looking sharp and detailed, even after repeated use and washing. While our phone beanbags will probably enjoy more use than not, it's reassuring to know that when they aren't required, they are easy and convenient to store away. But, with such eye-catching designs, they make an attractive feature in their own right, so why tuck them out of sight? You'll probably be only too happy to keep them on full show, whether on your desk or table. Attractive, fun, versatile and useful - the list of attributes of our phone beanbags goes on and on. But, it's also handy to know that you can add affordable to this list, too. Offering great value for money, our beanbags will get plenty of use so every penny spent will be well worth it. Plus, by offering support and protection to your mobile device, there's less risk of accidents occurring to it, which could prove costly to repair or replace. Why not experience the many great benefits of our phone beanbags yourself? Get in touch to become a proud owner.